Tomorrow I head out for my 12th Dragoncon. I started going in 2001 and since then I've only missed two years. I skipped 2002 because I bought my first house, and 2007 because my wife and I were on vacation in Scotland. Dragoncon is a mash-up of every Sci-fi/Fantasy fan-run con. It's also HUGE. I've heard it called Sci-Fi Mardi Gras. 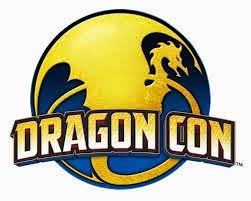 These days Dragoncon is a chance to see all my friends that I only get to see at Dragoncon. Cosplay is big at Dragoncon. I've gone all out for costumes in the past. It's a lot of work though. This year I only have two costumes. A Star Wars Sith Lord and one of the Stonecutters. There's a whole bunch of us that dress up as Stonecutters, maybe as many as seventeen this year. I probably won't blog till I get back, so I thought I'd finish out #RPGaDay before I head out. I'm usually to busy to play any of the scheduled games but my friends and I have a tradition that I run a game on Thursday afternoon before the con starts. 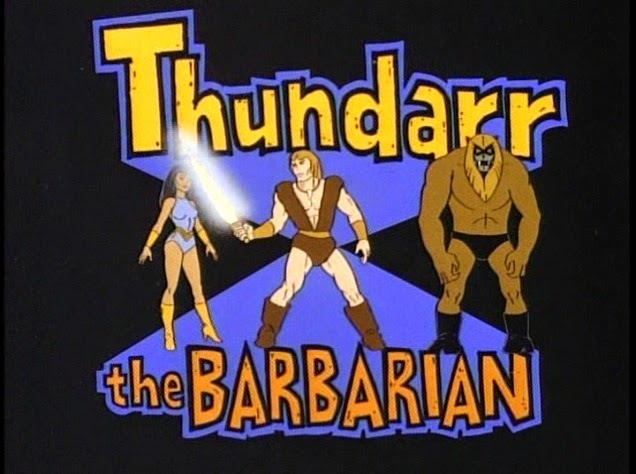 This year I'm running my friend +Chris Bare's homebrew system set in the world of Thundarr! I don't know if any game has ever succeeded in making a truly functional yet graphically pleasing character sheet. 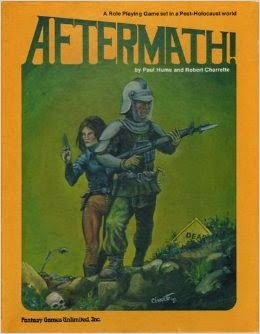 When I was a teenager, I made a post apocalyptic mash-up of Runequest, Call of Cthulhu and Aftermath. Here's the character sheet for it. This is my favorite for the sheer home brew awesomeness. Game you'd like to see a new edition of. I'd like to see a new edition of Ars Magica. I started running it with 3rd edition. I never ran fourth or fifth edition, but I read both of them. Fifth edition came out in 2004 so it's due for an update. The covenant building and troupe style campaign in Ars Magica engages players in a way that no other game I've ran has done. Scariest Game you've ever played. I can honestly say that I've never been scared while playing an RPG. Sitting around a table with 6 other people with dice, character sheets,and drinks doen'ts really set that "scary" tone. I've even tried to do scary in my Call of Cthulhu games. The players usually respond with a hail of gunfire, or failing that they set the scary thing on fire. This has got to be the "dynamite-in-the-pants" encounter from my old Deadlands game. I wrote about it in an earlier entry. Here it is again so you don't have to follow any links. I own a 1st edition AD&D Dungeon Masters Guide and an early printing of the Holmes D&D rulebook. I would have to do some research to see what was the more rare, but I think those two may just be the "oldest" and not the most rare. My rarest RPG is most likely my Aftermath boxed set. It was published later than the others but had a smaller print run. Favorite RPG of all time. Dungeons and Dragons in all it's many forms. My players are already wanting to try out 5th edition. I am a Half-Price Books hawk. I routinely drive to multiple locations to check and see if they have any good stuff. I'd have to say my best purchase was finding every single Gamma World adventure at a Half-Price Books a few years back. 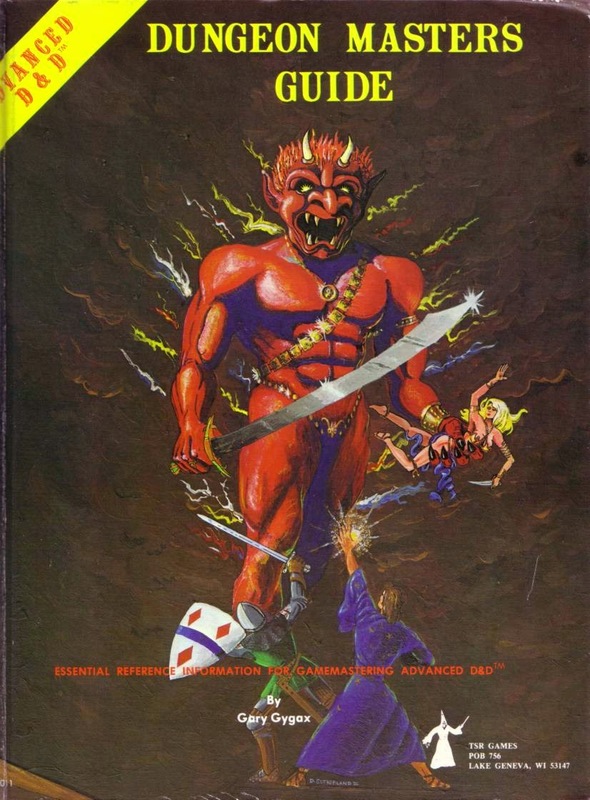 Hands down, the DCC RPG rulebook. I go back and look at this book all the time just for the artwork. Well that's an easy one. Aftermath, the Post Apocalypse RPG from FGU. I'm convinced there is no way to learn this game from the book. It was taught to me by my high school GM, who had it taught to him. I'm not sure I could even run it now. Favorite RPG no one else wants to play. I don't have a good one for this. My players are awesome. They'll try anything a few times at least. I think the only games that died and never returned were Dark Heresy and the D&D 4E Gamma World. (Dark Heresy came back even.) I'm running a DCC rpg game but I'd kinda like to play in one. I was scheduled to play in one at a local store but it's been indefinitely postponed. 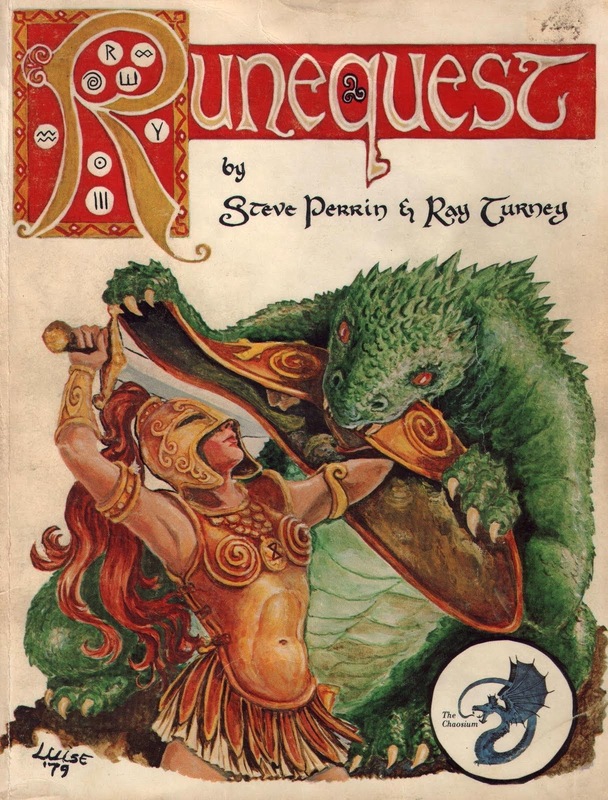 My all time favorite old school D&D adventure. Not quite sure why this is my favorite. I like that it's a hex-crawl that becomes a dungeon. I also like how rooted it is in Greyhawk lore. I can't wait till my Swords and Wizardry players are high enough to go through it. I've already been seeding clues about it in the campaign. Game I will still play in 20 years: Dungeons and Dragons. 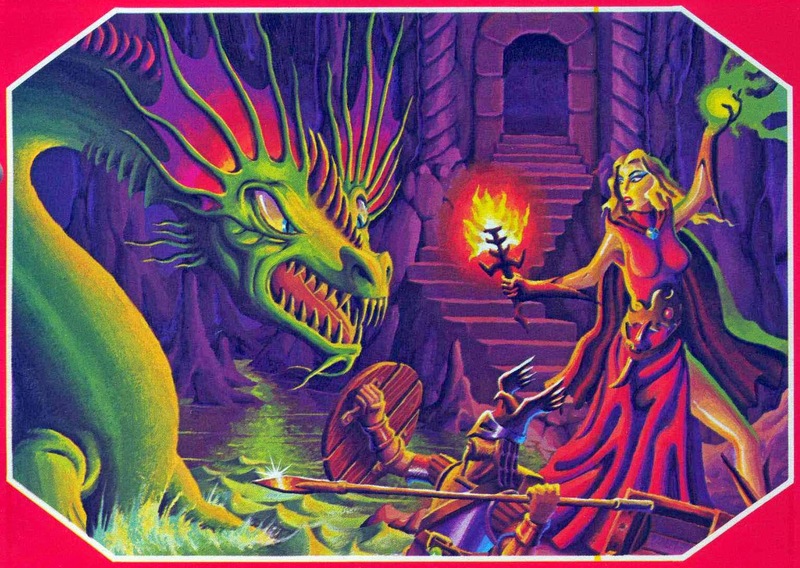 I have been playing Dungeon and Dragons in one form or another for 34 years. I doubt that will change in the next 20. Dark Heresy is the one that I've run the most. I've either run four campaigns or one really long one depending on how you look at it. I don't really like it though. As I've said before the rules are terrible and overly complex. I'm going to go with Star Wars Edge of the Empire. My regular group dropped Dark Heresy after 1 adventure. They seem to like Star Wars a lot more. I write a lot of stuff for the games I run. I'm going to post some of it here in hopes it my be of interest to someone. 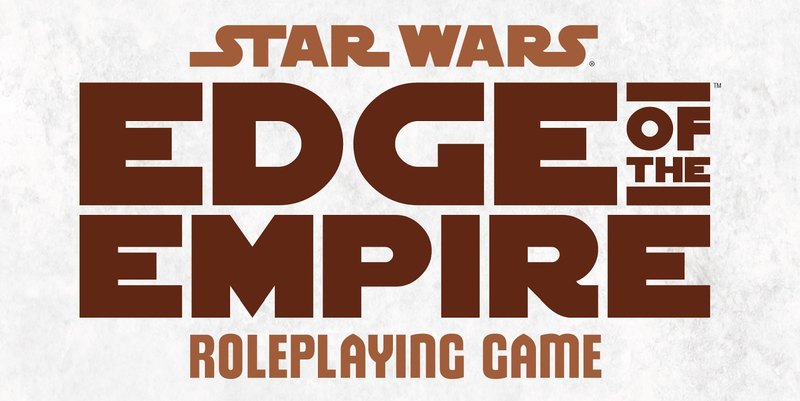 First up is my Edge of the Empire game, the Star Wars RPG from Fantasy Flight. Ten years have passed since the end of the Clone Wars. Order 66 has all but wiped out the once mighty Jedi order. The Old Republic has fallen. Emperor Palatine and his Galactic Empire move to take control of the galaxy and crush all opposition. Far out on the Rim, a small groups of rogues, smugglers, and renegades strive to maintain their freedom on the Edge of the Empire. Here are the characters the players came up with. I didn't restrict anyone on creating a force sensitive so there are a few of them. Lobuck: Wookie Explorer Big Game hunter. An ex-slave who was freed by Rokar. He is searching for a way to restore a nearly extinct species to the Wookie homeworld. He's also not a big fan of the Empire who have enslaved his people. Lobuck once saved Optimus from a horrid space beast. Optimus asked Lobuck and his partner Rokar to join the crew "In case there's any shooting." Optimus Prime: (Yeah that's his name, but Star Wars is full of ridiculous names so why not.) Chiss Ex-Jedi Smuggler Pilot. Older than the other characters, Optimus left the Jedi Temple before completing his training. The Jedi life was not for him. He's near the top of the Empires "shoot on sight" list. He has sworn an oath of vengeance on the Empire for killing his family. Kas: Male Selonian Force-Sensitive Outlaw-Tech. Kas fled the female dominated oppression of his homeworld with the help of Elanna and Optimus. His old clan on Selonia is not too happy with him. Elanna: Female Selonina, former Jedi youngling, now a Hired Gun Enforcer. Elanna was sent at an early age to study at the Jedi temple and become a diplomat for her people. She barley escaped the purges at the end of the Clone Wars. Optimus smuggled her off of Coruscant and she's been part of his crew ever since. Rokar: Kaltoonian Hired Gun Heavy. Rokar ended his contract with the Hutts in a rather permanent way. He hates slavery and oppression. The Hutts once sent bounty hunters to kill him. That didn't go well for them. Rokar and Lobuck are best friends and Rokar can speak Wookie. I have to get up early in the morning and travel for work so I'm going to go ahead and include Day 18 as well. Game you wish you owned. This is another tough one. I own A LOT of games. If there is a game I wished I owned I usually just buy it eventually. I sold off a lot of my roleplaying stuff in high school. I wished I had a lot of that back. 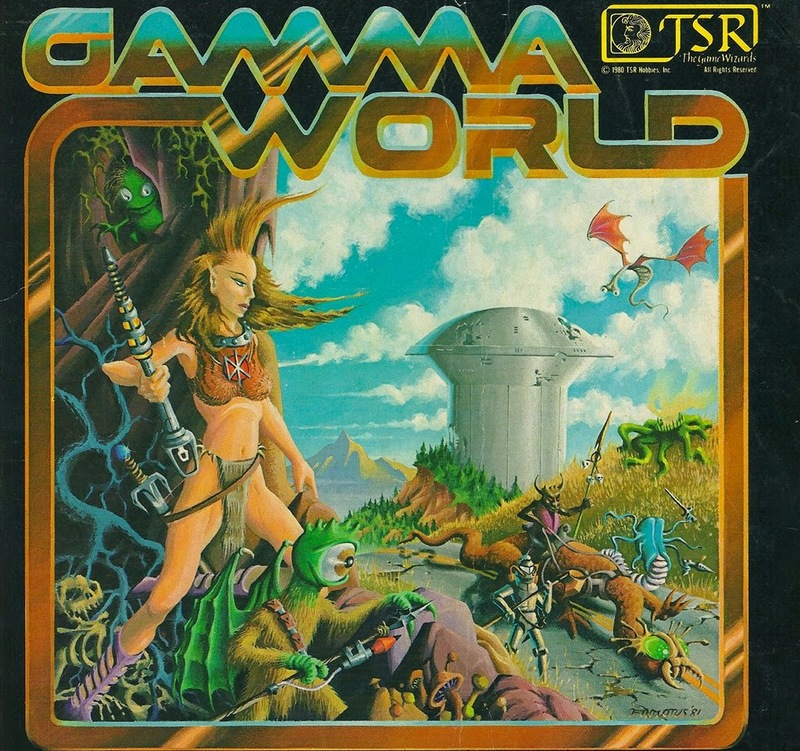 Currently, I'm scouring Ebay for a copy of 1st Edition Gamma World. Any game where my player Marc kills himself or others in a gloriously humorous fashion. He's the "dynamite in the pants" guy. 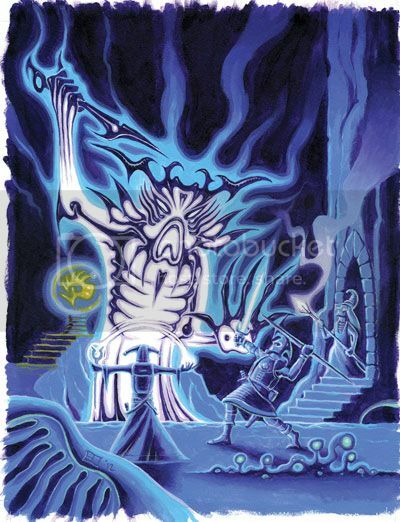 From my posts you might think this would be Swords and Wizardry or DCC but it's the BRP system from Chaosium. This is the system that drives both Call of Cthulhu and Runequest. I have adapted, converted, and run that system more than any other game. 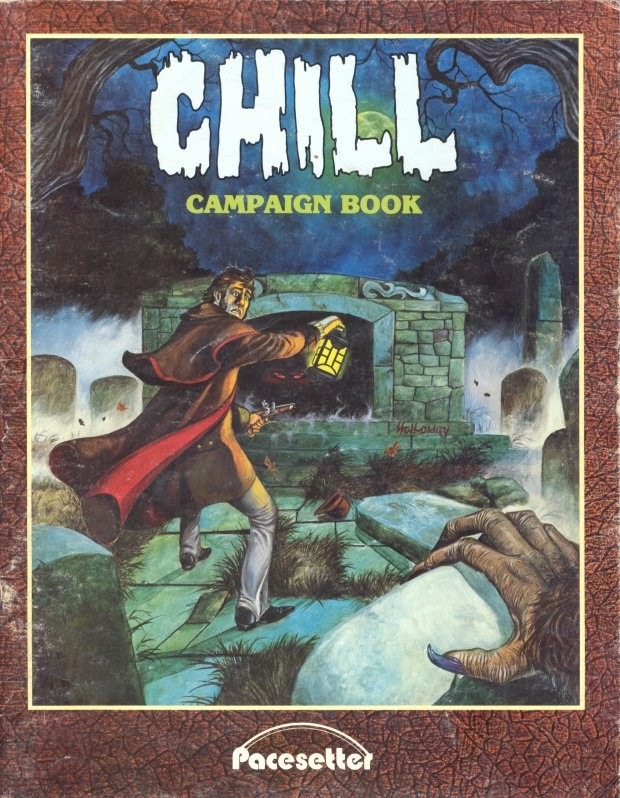 I have run Call of Cthulhu almost constantly since I found it in 1988. My longest running campaign so far has been also been Call of Cthulhu. At some point I'll post my Call of Cthulhu/Runequest post apocalypse game I made back in high school. It's awesomely bad. Wow that's a hard one. I don't play a lot of convention games. I did a lot of convention games in high school but not much since. I only got into gaming at conventions again in 2013 when I first went to North Texas RPG Con. Nearly every game I played both then and this year was great. If I had to settle on one though I'd have to pick +Tim Snider's Thundarr game. Post Apocalypse role-playing games are one of my favorite, so Mutant Future combined with Thundarr was awesome. Tim's game mastering style and mine are almost the same, which is always better for me. I don't know if it works this way for other people, but if I'm in a game and the GM's style of running the game is different from mine, it's sorta uncomfortable. 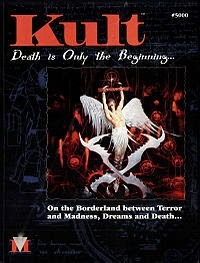 The Weirdest RPG I own has got to be Kult. 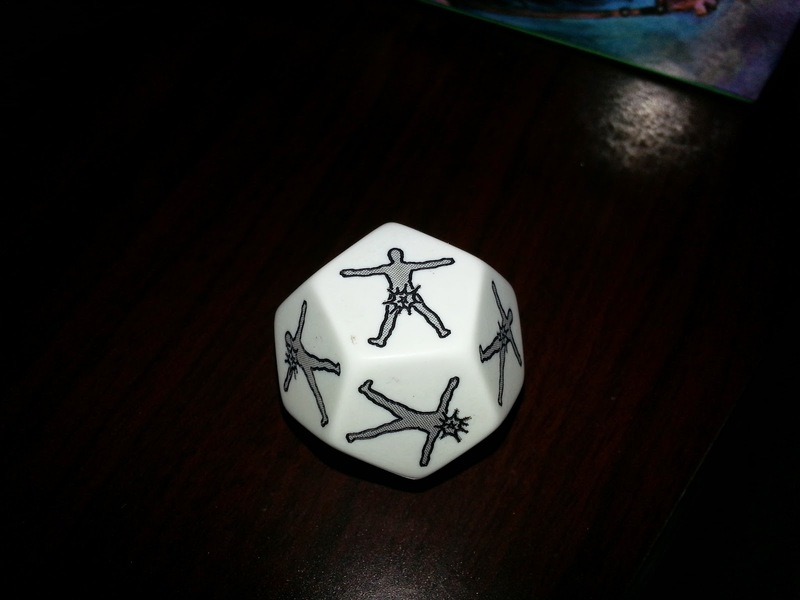 It's sorta Hellraiser the RPG. I ran it one time and decided it didn't work. The players seemed to like the story so I used the adventures for Call of Cthulhu. AD&D Dungeon Masters Guide. I learn something every time I read it. I usually run games rather than play them. The only death I can remember was my Anthropologist from Chill. He was mauled to death by Were-Jaguars. It must been bad too. It's hard to die in Chill. 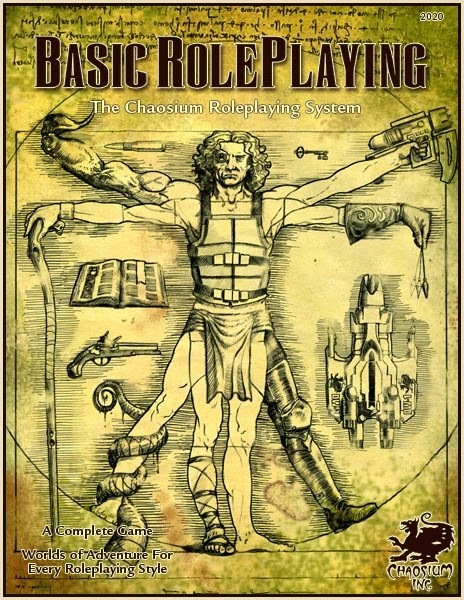 I mentioned in the last post that I had been contributing to the #RPGaDay discussion suggested by David Chapman. I've been posting them to my G+ feed. I'm 8 days in now I thought I'd post them here as well. First RPG Played and First RPG Game-mastered. Both of these were the same game the Moldvay D&D set. You can read more about my first RPG game in my last post. First Rpg Purchased. 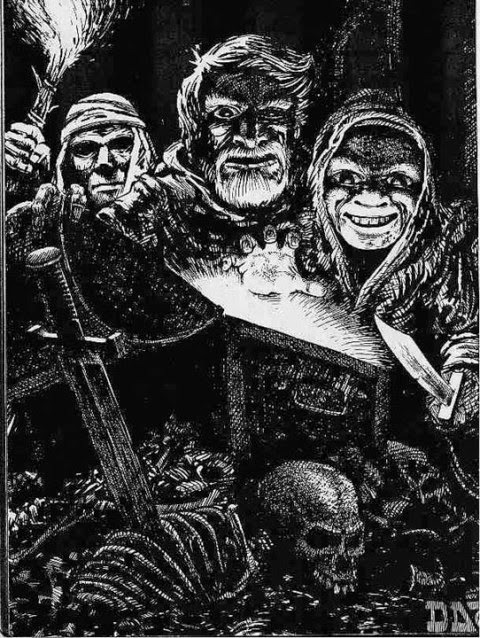 The AD&D players handbook. It was $9 at Toys R Us. Day 4 Most Recent RPG purchase. I buy a ridiculous number of RPG PDFs. 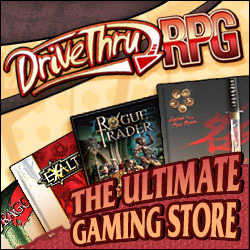 Drive-Thru RPG is PDF-crack. On this day I bought The Wizardarium of Calibraxis, an excellent DCC adventure/source book. Most Old School RPG owned. Swords and Wizardry. Accept no substitute. DCC wins a close second but I really consider it a new-school RPG created in the old school style. If that makes any kind of sense. Favorite game that you never get to play. 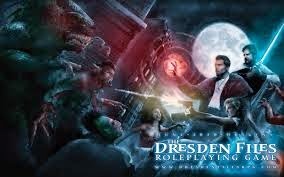 The Dresden Files RPG. Huge fan of this system but I'm going to have to play it somewhere before I try and run it. I don't quite "get it" when it comes to FATE yet. Favorite Character. This one is easy. Rexor, my Humakt Initiate from Runequest (2nd Edition.) My first RPG character that lasted more than one or two games. I still have his character sheet. ﻿ He never made it to Runelord. I imagine him still out there somewhere, exploring the Big Rubble. This month I’ve been doing the #rpgaday discussion suggested by David Chapman. It made me think back to my early days of RPGs, which was of course D&D. My 4th grade teacher suggested the D&D Basic Set to my mom as something that might interest me. My teacher had bought it for her own son and he loved it. Thank you Mrs. Woldridge wherever you are. I am still playing D&D today. My first D&D was the Moldvay Box set. I remember reading the rulebook and the included adventure (Keep on the Borderlands) over and over. I didn’t have anyone to play with me though. My brother was too young at the time (though I sure got him into it later) and I tried to rope my parents into it but I could tell they weren’t interested. Then one of my friends had a sleep over for his birthday and I brought the set with me. We rolled up characters and we played for 12 hours straight at least. I don’t really remember what time we started but I know his mom made us stop playing and go to bed at 4 am. 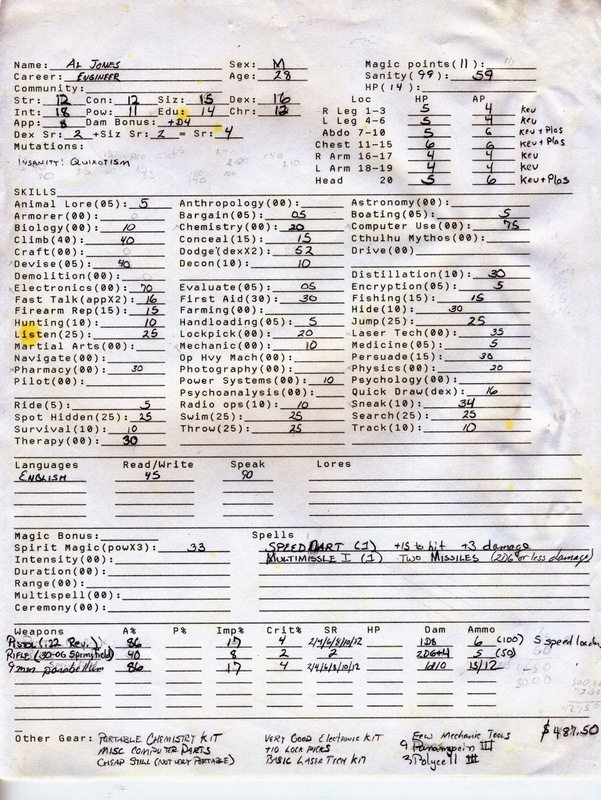 I was total old school on the character creation, 3d6, all in order, no rerolls. If one of the players rolled at least a 13 in a stat, that determined their class. Whoever got 13 wisdom was the cleric, 13 Int, Wizard. I think the fighter even had 16 strength. I didn’t really understand the rules. The attack table didn’t make any sense to me, so I made my first house rule: roll a d6 to hit, 1-3 miss, 4-6 hit. I understood hit points but it seemed really unfair that some classes got more than others so I told everyone that they had 10 hit points. Also I was pretty sure that if I killed anyone they would quit and not want to play. We were all nine years old after all. I ran an NPC in the game. My NPC ended up being a cleric due Wisdom being his best stat. I still remember his name, Atanious. I have no idea how to pronounce that. I didn’t even use Keep on the Borderlands that night. I didn’t want to “use up” my only adventure on my first game, so I ran the example dungeon in the book. I think the guy playing the wizard still died. After that night, D&D was all my friends talked about. It was all we did. We planned sleepovers just to play D&D. I eventually ran Keep on the Borderlands, acquired the Expert set and ran Isle of Dread. We also did a lot of the old “mega-dungeon” idea. I would draw up a map and then they would explore it. When they hit a room I would roll up a random monster and treasure. No plot, just killing and looting. Then one day, I came home from school and my mom said “I saw a D&D book at the store today so I bought it for you, it’s on the table.” It was Q1, Queen of the Demonweb Pits. I tore into it. It didn’t make any sense. What were all these new spells? Where did these magic items come from? What the heck was a druid? And then a saw the little yellow banner on the cover, “For Advanced D&D Game” There was an advanced version! D&D didn’t end at expert! 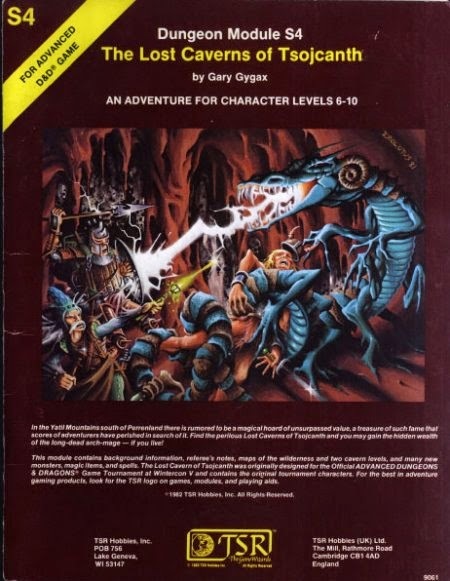 I don’t remember how much time passed between discovering there was an Advanced D&D and actually buying it, but I remember buying it. My mom had a doctor’s appointment and she took me with her. We went to Toy’s R Us before her appointment and she said I could buy some D&D books to read while I was waiting. I bought the Players Handbook, a pack of character sheets (the green ones that came in a blue folder) and an adventure. I don’t know how much the other stuff was, but I know the players handbook was $9. The adventure was G1-2-3 Against the Giants. Q1 said the campaign started with that one, so I needed it. I couldn’t possibly run them out of order. Thinking back, I never ran the whole campaign. I ran the G-series and Q1 but I not D1-2-3. A week later I gathered up enough loose change to make $9 and begged my mom to take it and buy me the monster manual. I’m not sure why that one and not the DMG. I think the DMG was more expensive. One of my friends had it so we were good. I got the DMG for Christmas later that year. After that it was all AD&D. I even figured out how the rules worked at some point and we stopped using my D6 to hit house rule. This turned out to be longer than I thought so I’ll call this Part One. No one wants to read a novel sized blog entry. Last week on the G+ DCC group, I asked the question “What do your players do with all the monetary loot they get?” Check out the thread here. +David Eppling even provided a link to some Carousing Rules by Jeff Reints which look interesting. I'm not sure my players would accept that they blew all their loot on wine, companionship and song between every adventure though. Here's my take on what players could do with their loot. A characters personality revolves around their alignment, so each alignment would have its own motivations for hoarding and spending loot. Lawful characters would want to establish order on the chaos of the world. A lawful character would use their loot to establish a stronghold or build a castle. The would clear the land surrounding it of monsters and establish a safe place for civilization and order to flourish. The Swords and Wizardry rulebook has great section on castle building that is short and to the point. Also it's free. Neutral characters would probably acquire loot for loot's sake. They might horde some, piddle some of it away, or even give it away to something or someone who strikes their fancy at the time. I could also see a neutral character building an elaborate vault to store their hoard for no other reason than building an elaborate vault. Chaotic characters have all kind of reasons to gain and spend loot. Blowing an adventures worth of loot on raucous parties is just their style. A chaotic character might also seek to become a warlord or bandit king, rampaging across the countryside with a warband at their back. Outside of alignment motivations, characters could spend loot to gain information about legendary artifacts, magical secrets, or the existence of certain patrons and the proper rituals to bond them. In the same G+ thread, I also made a side note of " I let them buy potions sometimes but I was wondering if anyone had other ideas.﻿" This spawned a whole second discussion about magical loot. I want to get into that as well, but that's a whole nother post.